The temporary care and minding of domestic dogs is called dog sitting. Pet sitting for dogs is an arrangement organised by the pet owner with a sitter to cover the absence of the dog owner. When your dog can’t come with you on holiday or for work you and so you need to leave your dog, you have to ask yourself what is best for my dog. Increasing numbers of dog owners are choosing to keep their dogs in their own home, to be cared for at home when they go away travelling for extended periods. With experts advising that dogs and cats prefer their home environments, Vet Matthew Bayliss gives us some top tips on how best to prepare for the dog house sitter ahead of their arrival, helping owners to prepare both the pets and the home. While searching for a reliable and experience dog sitter in who’s care you can leave your dog, you might start adding up the cost of the personal care this affords your pet. 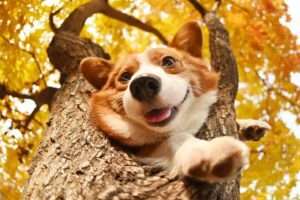 Doggy day care is another option and in towns and cities there might be similar solutions in your neighbourhood, however, the expensive of and experienced dog sitter offering day care and home dog boarding for your pet might soon become significant. If you are covering holidays and long work trips it might be an idea to think about the alternatives that exist today. Pets and especially dogs love company and regular routines. This explains the increase in popularity of businesses in doggy day care. Experts agree that to keep a dog feeling safe and happy you need to maintain routines, with timely feeding and exercise schedules, ideally with meals served at the same time every day. Dogs in particular need their walks to be managed on a regular basis for exercise and distraction. Pet sitting for dogs is one of the most popular requests for house sitters on HouseSitMatch.com because as pets they need and love companionship. It gives them the attention and stimulation they need and often crave. For young dogs in particular, having a live-in sitter while you are away helps ensure the puppies are cherished with a watchful eye. Their behaviour needs to be checked especially if they are still in training and learning the rules of the house. 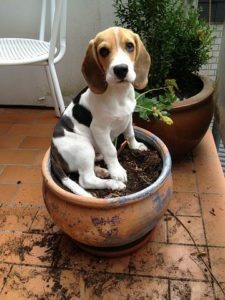 The RSPCA has advice on how to train a puppy to be left alone, however, they also give advice that dogs love to be entertained and played with. they need distractions. Mature dogs also fair better at home where their routines and environment can be maintained without the stress induced by a change of environment and routine. Many dog owners use external support services to care for and tend their dogs whether they are away on holiday or traveling for work or simply walking the dog during the day while they are at work. At HouseSitMatch.com we have a variety of sitters who have extensive experience caring for all kinds of dog breeds. Some people specialise in small dog breeds, others are experienced with large dog breeds and are trained dog handlers. They are registered members of our housesitting and petsitting network and will offer their services for free in exchange for free accommodation. As the dog owner you would register as a homeowner. Some of our petsitters have Pet First Aid qualifications and experience and others offer pet reiki and similar alternative therapies which can be a great comfort to pet owners leaving animals for long periods of time. One of the most important dog sitting services is the companionship and one on one engagement with the dog which most dogs crave and need. Dogs are intelligent creatures and some breeds need constant companionship and stimulation and find it hard to be left alone for hours on end. Leaving dogs on their own for many hours can cause the dog to behave badly out of sheer boredom and frustration. Come breeds suffer from this far more than others. A dog sitter can ensure the pet is cared for and stimulated t ensure a happy. active and occupied pet. On HouseSitMatch.com we have many experienced dog sitters offering their skills and experience in dog care in exchange for free accommodation. 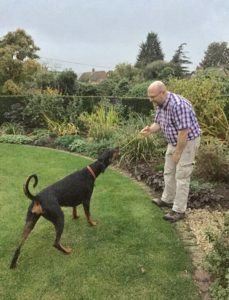 With their reviews and profiles visible online you may find you can secure an experienced dog sitter, a local dog sitter, or someone from further afield who is used to home dog boarding and dog care. 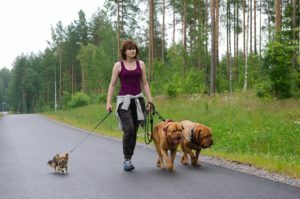 Whether as a dog owner you are planning a trip away for either a short or a long term the combined services of dog house sitters can be a reassurance and a comfort. Keeping dogs in their own home while your are away is one way of minimising any pet anxiety. Any bad behaviour could be due to a negative emotional state as advised by David the Dogman a dog trainer for 50 years. And finding suitable dog house sitters with the right experience for your breed or size of dog, who can care for both the home and taking good care of the dogs at home can give you peace of mind. It is a fast-growing trend for pet owners to invite their dog sitters into their own home as the best and most cost-effective way to care for their dogs and other pets. Finding pet loving dog sitters in a collaborative membership network where the pet sitting is part of the exchange can offer love and care your pets while you are away. And because the dog sitters on HouseSitMatch.com do not charge it is less expensive than traditional alternatives. I have always had wonderful house sitters from House Sit Match. This time we are going on holiday at short notice and I was worried about finding someone quickly but within a day Lamia had emailed me with a possible match who I have subsequently met and she is lovely and a true dog lover. More and more pet owners are inviting dog sitters into their own home to care for their pets as live-in sitters while they go on holiday. This dog house sitting arrangement has many advantages not least the fact that the family pet dog can be cared for in their own home, minimising any stress experienced by the absence of their family and main companions. 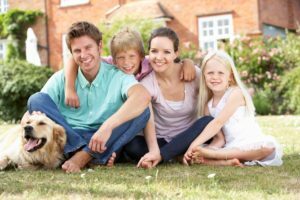 The housesitters through HouseSitMatch are also dog sitting for free because they are part of the membership network, so this saves the family a great deal of money in pet care fees. It’s a win win arrangement for the dog owner and the dog sitter. The owner is able to ensure checked live sitters are caring for their home and pets for free. This can represent peace of mind when you go away, and a significant cost saving to your holiday pet care arrangements. The sitter secures free accommodation in exchange for their time and skills as sitters.